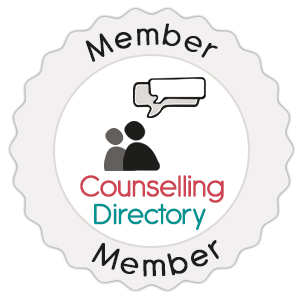 Person-Centred Counselling is a humanistic approach created by Carl Rogers in the 1950s and looks at the ways in which individuals perceive themselves. Carl Rogers (1957) predicted that if certain necessary conditions were present during the therapeutic relationship and if conditions were continued over time, then this would be sufficient for constructive personality change to take place. The conditions of congruence, unconditional positive regard and empathy are commonly referred to as the ‘core conditions’ and communication of these ‘core conditions’ were particularly crucial. In other words, the relationship and experience you have with your counsellor has to feel right for you. I will accept you as you are without judgement and endeavour to raise your awareness to what is important to you in order that you move forward with your life. I will try to understand your experience the best I can and communicate this to you. To be accepted by someone, who really understands you and who can empathise with your experiences can not be underestimated. Generally, the way we are may be not the way we want to be. Years of experiences in relation to others and our environment have led us to value ourselves according to how others perceive us. This means that we can become far removed from who we truly are and want to be. In summary, person centred therapy can help in raising your awareness of these dynamics to enable you to move forward with your life.